Abstract: Understanding networks and networked behavior has emerged as one of the foremost intellectual challenges of the 21st century. While we obviously master the technology to engineer transformational networks — from communication infrastructure to online social networks — our theoretical understanding of fundamental phenomena that arise in networked systems remains limited. My goal is to combine network science and signal processing in order to leverage the structure of networks to better understand data defined on them. In this context, the term Data Science for Networks can be understood as a joint effort to understand both network structures and network data. After a general overview of Data Science for Networks, the talk consists of three parts. First, we introduce the fundamental building blocks of graph signal processing (GSP) as a toolbox to study network data, and we sediment these concepts by analyzing in some detail the problems of sampling bandlimited graph signals and blind deconvolution of graph filters. We then apply the GSP concepts to study the problem of inferring the topology of a network from the observation of graph signals. Leveraging results from GSP and sparse recovery, efficient topology inference algorithms with theoretical guarantees are put forth. Lastly, we illustrate the ubiquity of Data Science for Networks via several real-world examples. Bio: Dr. Santiago Segarra received the B.Sc. degree in industrial engineering with highest honors (Valedictorian) from the Instituto Tecnológico de Buenos Aires (ITBA), Argentina, in 2011, the M.Sc. in electrical engineering from the University of Pennsylvania (Penn), Philadelphia, in 2014 and the Ph.D. degree in electrical and systems engineering from Penn in 2016. 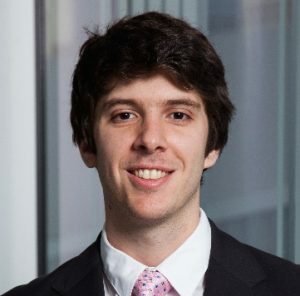 Since September 2016, he has been working as a postdoctoral research associate with the Institute for Data, Systems, and Society at the Massachusetts Institute of Technology. His research interests include network theory, data analysis, machine learning, and graph signal processing. Dr. Segarra received the ITBA’s 2011 Best Undergraduate Thesis Award in industrial engineering, the 2011 Outstanding Graduate Award granted by the National Academy of Engineering of Argentina, the Best Student Paper Awards at the 2015 Asilomar Conference and the 2016 IEEE Statistical Signal Processing Workshop, the Best Paper Award at the 2016 IEEE Sensor Array and Multichannel Signal Processing Workshop, and Penn’s Joseph and Rosaline Wolf Award for Best Doctoral Dissertation in electrical and systems engineering.